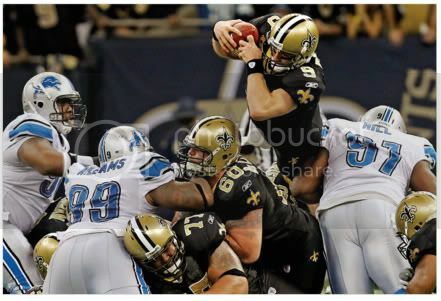 Fantasy Football Trade Analysis - Drew Brees or Matthew Stafford? I’m in a 12 team head to head league. Starting one Quarterback, two running backs, three wide receivers, one tight end and one defense/special teams. Trade scenario: I give up Matthew Stafford, Titus Young and the Steelers defense/special teams. In return I receive Drew Brees, Denarius Moore and the Ravens defense/special teams. Thanks for writing in. This is a very interesting trade offer but it looks relatively fair. Titus Young and Denarius Moore are both young up and coming wide receivers in this league. Both wide outs had roughly 600 yards and 5-6 touchdowns last season. Their points and targets were both very similar numbers as well. Moore has a slight edge in my opinion as he was Carson Palmer’s (or Jason Campbell’s) second option last season and could be poised to be the top dog in Oakland this season. Titus Young finished 4th on the team in targets and will always be third fiddle behind Calvin Johnson and Brandon Pettigrew. Both defense / special teams are top ten and somewhat interchangeable. Both squads have outstanding play makers and should provide ample scoring at that particular roster spot. These two are pretty much a wash with Baltimore getting the slight edge. Which brings us to the meat of the bones and the real reason for this trade offer being submitted. Drew Brees vs. Matthew Stafford. When offering fantasy football trade analysis it is important to look at the big picture. While both players posted outstanding stats last season (both passers eclipsed 5,000 yards passing with over 40 touchdowns) Brees is without a doubt the player to own here. Some may be caught up in Stafford’s big breakout season in 2011 but lets not forget how consistent Drew Brees has been since coming over to New Orleans. Drew Brees is a general on the field and a true fantasy football commodity. While Stafford may on his way to being elite I cannot trust him until he does it again. Go with the guy who is already elite and can be trusted year in and year out. To sum it all up I think your side wins hands down. You get the passer with the better track record, the wide receiver with more upside and opportunity and an equally reliable defense / special team unit. Even if this is a keeper league Drew Brees still has at least 4 years left in the tank. Hope this helps! Be sure to write in as much as you like for unlimited free fantasy football trade analysis!